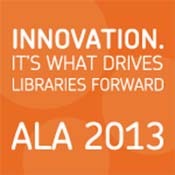 All week ProQuest has been gearing up for one of the largest conferences for librarians and information professionals, ALA Annual, which is happening now through July 1. The theme of this year’s conference is, “Transforming Our Libraries, Ourselves," and the news from ProQuest follows suit with announcements of new products and technologies, as well as other exciting transformations that are happening at ProQuest! ProQuest integrates market-leading library resource management, discovery and assessment capabilities into a single solution with the availability of Intota. Click here for the full news release. Driven to empower researchers and transform the research experience, ProQuest delivers superior full-text access to discovered content in a library’s collection with new technology for 360 Link. Read the entire news release here. ProQuest continues to innovate the use of ebooks in research by launching a beta version of its new ebook reader on the ebrary® platform. Read more here. ProQuest launches a new historical statistical resource and expands the historical newspaper archives to provide rich and fresh insights for researchers. Click here for the complete news release. 24 scholarships will be funded through ProQuest’s commitment to the Spectrum Scholarship Program. Learn more about the sponsorship here. Genealogy expert and ProQuest product manager William Forsyth earns a well-deserved honor for his contributions to advancing genealogy research. Read about Bill’s award here. ProQuest appoints strategic leadership roles. Learn more about the new faces at ProQuest, Ben Lewis and Roger Retke.